Tues. - Thurs. 5 p.m. - 11 p.m. Sat. 4 p.m. - 12 a.m.
Sun. 4 p.m. - 11 p.m. 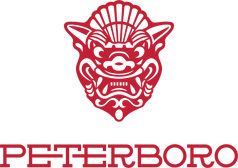 The Peterboro is a casual restaurant located in Detroit's Historic Chinatown serving contemporary American Chinese food. We also have an extensive bar menu featuring original house and classic cocktails, beer, wine, and an extensive spirits list.